Leana De BRUIN - Silver Fern and medal winning Netballer - will talk about her life and answer any questions you may want to ask..
A generous selection of Spot prizes and raffles, so hold on to your ticket! Enjoy an evening out, get the ladies together and enjoy a fun evening. 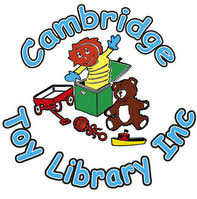 I have tickets available for sale, otherwise you can call into the CB Toy Library at 22A Taylor St, CB on Tuesdays and Saturdays between 10-12.